We understand generating revenue for your event is a struggle. We work with 100s of events and have four ways simple to help you generate revenue. Your event attendees will wear your logo at every race, which means your event gets ongoing marketing at other events! Generate revenue while turning your race into a premium event and a reason for racers to attend your next event. Your event will generate revenue both before and after. Racers will love that you’re helping them toss out unsafe safety pins. BibBoards will allow us to offer a 100% Greener recyclable solution instead of the old safety pin, and this will reduce the waste footprint at our events. One thing I like is our participants will now eliminate the holes in the shirts we hand out and they will keep them as souvenir and collectible. 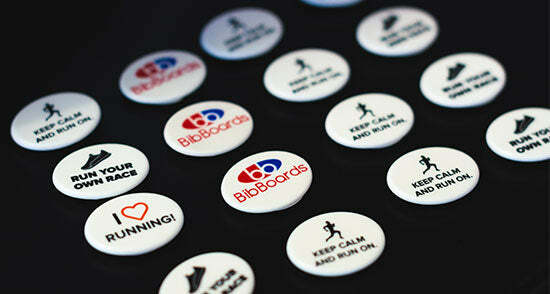 "BibBoards are an innovative product that our members and local race directors will enjoy. When you race often, as our members do, being able to eliminate safety pins is a great idea. For race directors, BibBoards are a new and unique amenity that offers a custom branding opportunity on a item runners will love to hold onto." I used the BibBoards for the first time and they worked great! It was for a 50k, in the mud and rain. I want to order some Mermaid branded BibBoards to sell at our upcoming events. Very happy to share it and support the product. I *wish* I had taken Stephanie’s advice and tried it a long time ago. Sorry to be a late adopter.